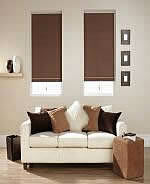 Roller Shades are timelessly classic with a contemporary flair. They are both practical and stylish. 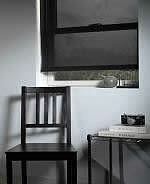 Materials range from the basic vinyl to decorative fabric, textures and prints. 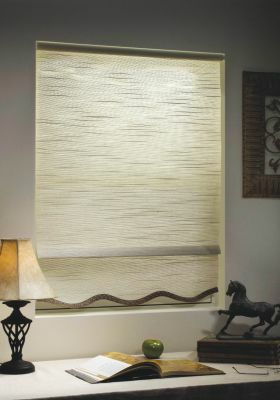 The shear weave materials block from 85% to 99% of harmful UV rays yet allow you to maintain a level of visibility. They are offered with an optional matching cassette or fascia's which cover the roller tube and have many different hem and trim options. 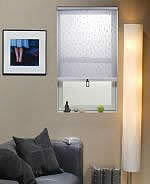 Our Roller Shades have either a spring roller or chain clutch lift system and are easy to maintain and operate. meets your needs? Click the above logo and try "Graber's Virtual Decorator." Please come back again soon!